How does depression affect a marriage? Author and pastor Tommy Nelson and his wife, Teresa, talk about the debilitating depression that challenged Tommy's health and ultimately their marriage. Bob: In the late spring of 2006, Tommy Nelson was in pain; and he had no idea what was causing it. Tommy: I hadn’t been in a hospital since my knee operation in 1973. So, when I said, “I’ve got to go to a hospital,” she knew something was wrong. Bob: This is FamilyLife Today for Friday, December 18th. Our host is the President of FamilyLife®, Dennis Rainey, and I’m Bob Lepine. We’ll hear today how Tommy Nelson made it through the dark hole of depression and found himself on the other side. Stay tuned. Dennis: You hear about people giving—“Do these three things,” “Get some exercise; and maybe, do this and do that.” It just is not that simple. Depression can truly paralyze a person. We have been listening all this week to a series of broadcasts we did a couple of years ago with Tommy and Teresa Nelson. Tommy is the pastor of Denton Bible Church in Denton, Texas. He and his wife Teresa had been married at the time for 33 years. They had never faced anything like this, as a couple, either in their marriage or in their ministry. Bob: Yes, this is a compelling conversation about what they went through as we’ve already heard this week. Before we dive back into that conversation, though, we want to remind our listeners about the special opportunity that we’re facing, here at FamilyLife, during the month of December—a matching-gift opportunity that, honestly, Dennis, couldn’t come at a more strategic time. Dennis: It couldn’t. And what I want our listeners to hear: “Your generosity changes lives.” Listen to this letter from this guy by the name of Dean—he said: “Thanks for all the encouraging and challenging programs on FamilyLife Today. They brighten my day while I’m working on airplanes, here in the Shenandoah Valley of Virginia. I appreciate all you do to spur me on and call me to be faithful, as a man, husband, and father.” Then, he went on to add a P.S. and said he spent last February, with his 14-year-old-son, as they went through Passport2Purity®. And there is another letter, Bob—I’ve just got to share it with our listeners because this is why we do what we do here. Because of your radio program, I went ahead and invited her out on her very first special daddy/daughter date. For nearly three-and-a-half hours, she talked non-stop over cheeseburgers, fries, and ice cream cones. All I had to do was sit there and look directly into those big blue eyes, smile and nod, and occasionally, brush back the stray curl that always seemed to escape that unruly mop of hers. Our date was the first time I had deliberately treated my daughter like a little lady; and perhaps, the longest amount of time that she had ever had my undivided attention. When we got back home, she launched from the cab of my truck, wrapped her little arms tightly around my neck; and as she clung to me, unwilling to let go, she whispered, “Thank you, Daddy, for making me feel so special without the boys.” She’s got three brothers. He went on to say he had tears streaming down his face as he held onto her too. We are all about helping men be men—as single men, as married men, as fathers, as grandfathers. I believe there is a battle in our nation, as never before, of whether men are going to get it—whether they are going to embrace their Savior and be the man God created them to be. And what FamilyLife Today has a history of doing here is—not beating up on guys, but coming alongside them / putting our arm around them and showing them how they can be the man God created them to be. Your generosity makes that kind of ministry possible, here on FamilyLife Today. Will you stand with us, here in December? We need people now to say, “Keep these messages coming on strong to my community, to my state, to this nation, and around the world.” The world needs to know how Jesus Christ can make a marriage and a family work. Dennis: I thought about that—seriously. [Laughter] If FamilyLife Today was a stock, invest! Frankly, Barbara and I do. You and Mary Ann give. Dennis: We invest in this ministry. I mean, we’re talking about sending it on ahead. The family is God’s smallest battle formation for this nation. I’m sorry, Bob, to pick it back up again; but seriously, folks, marriages and families are in trouble. And if we don’t come alongside them now, you know—what are we going to leave for our children / our grandchildren? This is an urgent, vital ministry to your community, your state, and your nation. We’ve got to make this work now. Bob: Let me explain again how this matching gift works—when you make a donation, during the month of December, we’ve had some friends who have agreed that they will match your donation at twice whatever you give. So, you give $100 / they give $200 dollars. You give $500 / they give $1,000. Whatever you are able to give, they are going to match it with twice as much money—up to a total of $2 million. We want to take full advantage of that matching gift. To do so, we need you to go to FamilyLifeToday.com—make an online donation. Or call us at 1-800-FL-TODAY, and make a donation over the phone. And pray for us, if you would, that we’ll be able to take full advantage of this matching gift between now and the end of December. Alright, let me move us into the conversation we’ve been listening to this week with Tommy and Teresa Nelson. They joined us a number of years ago to talk about a period in Tommy’s life when he had wrestled with depression. This took him out of the pulpit. He was out of the ministry for about six months—pretty much non-functional during that period. In fact, they wondered, “What was wrong with him?” Finally, it was a doctor, who diagnosed that he was experiencing depression; and he was treated for depression. They shared with us what it was like for them as they went on this journey, experiencing this intense depression. Dennis: —but I’ll bet he would say you were one of them; and without you, it wouldn’t have been possible. How did depression impact this relationship with your sidekick for 33 years? Teresa: Well, it turned it upside down because I became the strong person, I became the safe person, I became the decision-maker. Tommy totally depended upon me—almost to a stranglehold on me. By the time he was well, I mean, I really felt like, “I don’t know if I can go on.” He had such a stranglehold on me, as far as dependence. Teresa: I don’t mean that. Dennis: Tommy does not weigh 600 pounds—lest people take that imagery here. Teresa: But I mean totally dependent upon me. Bob: Was it different than if he was convalescing after surgery for four months? Tommy: Oh, that would have been a piece of cake. Teresa: Because, mentally, he was struggling. I didn’t feel like he could make—well, he couldn’t make decisions. Tommy: I could barely drive. Teresa: He couldn’t drive. I drove him; and even then, that was difficult because he wanted to be in the house. Yes, it was just total dependence upon me. Tommy: And you can’t get loose. Bob: It is one thing if you’re helping somebody who is, again, recovering from something physical; but you had somebody who had both a physical and an emotional thing going on. How do you keep that from being personal? Tommy: And she did keep it from getting personal. Bob: —when his attitude, when his anger, when his frustration—how did you keep from feeling like, “You just need to talk nicer to me”? Tommy: Self-contained—you’re so—your hand is on your pulse, continually, because you are trying to figure out what’s wrong with you—you are self-obsessed. Dennis: He was doing a teaching series through the Book of Romans? Teresa: He was going to do a whole conference on the weekend. Teresa: So, he wanted to be well. Tommy: —“If I can do this and die, I’ll be happy. I’ve got to get this Romans down.” It nailed me, and I couldn’t get it done. One Sunday evening, I was at prayer—I went to prayer, and I left him at home. He called the church and got the guy in charge of sound to take him to Louisville, which is about 20 miles from Denton, to a doctor's office to get medication. Tommy: —to help me sleep. Teresa: I felt like he was going around me because that’s what I started feeling—was he was going around me on medication / going around me on everything. I was beginning to be very irritated with him—to be honest. 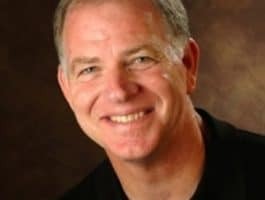 Dennis: Here is the question I want to ask you at this point—how does the Center of the Universe live out the Song of Solomon in the midst of depression? Bob: Yes, the truth must come out, my friend. Teresa: Well, he didn’t stay the Center of the Universe. I mean, it was just—he was trying to fix everything, and he was trying to make it right. Then, he went into a true clinical depression. Bob: Would it be fair to say that from the middle of May—maybe even before that—until the middle of November, you had a romance-less marriage? Teresa: Well, I’d say from the middle of May to, at least, October. Bob: Teresa—and I know there are a lot of folks, who are listening, who are going, “I know that sounds like a long time, but I’ve been at it for two years” or “…three years” or “…five years in a romance-less marriage.” Did it cause you to begin to go: “I don’t know that there’s hope. This may be worse until he dies or I die”? Teresa: —to just rub his arm or anything like that was just painful. Tommy: I couldn’t wear a watch / I couldn’t wear a wedding ring—it hurt. Dennis: I’m listening to you—and I know Bob is thinking the same thing—what a courageous love. It is one thing to love when you’re being loved in return; but it’s another thing to keep on loving and stepping into adversity, and caring, and sacrificing, and loving. Dennis: —but I want you to hear what he said before this happened because there have really been a lot of holy moments on the broadcast. This was really a pretty sacred moment, as we turned to your husband and asked him to just kind of give you a verbal love letter. Dennis: When you’ve been in gear, like you have on the Song of Solomon for so many years, you don’t need warning. Thank you for my two faithful boys who are faithful because of the continual model and devotion of their mother. Thank you for the freedom I have in ministry—not to be taken out because my wife—I’m choking up / this is hard to do. Thank you that I can minister and never worry about being canceled out because you are so faithful. No matter whatever happens to me in life, it will be because of you. I love you. Tommy. Tommy: What a man of God! Dennis: Now, now, here is the rest of the assignment. Tommy: Yes. It ain’t Valentine’s, though, you know, Dennis. Dennis: Yes, but you’ve got to make up for a six-month drought, Tommy. Tommy: That’s right. That’s right. Am I to sign-off this time? Bob: —and it was pretty good back then. Tommy: Yes. Give me your finger. The way we know of God’s love is through struggle and pain—we find the depth of who He is. That’s what I’ve found in you—that you said, “…til death do us part,” and you said, “…for better, for worse, for richer, for poorer…” I had about a year of just the poorer and the worst, and my strength through all of it was you. You never moved/ you never faltered—you never stopped loving me. You told me things that I didn’t want to hear. You took me to the Word. You let me follow you around, buying at Kroger’s, just like your idiot accomplice—[Laughter]—and you never / you never faltered—that you always loved me. I said, “God, like David, You take no pleasure in me anymore,”—but one thing I never doubted was you. So, thank you for sounding the depths of your love. And now, I have more to love, more to praise you for, and a greater sermon for a greater day. Thank you, Baby. Dennis: You guys have been so gracious to allow us to peer into a tough spot; and yet, you all know—because you’ve talked to people—you are comforting others with the comfort with which you have been comforted. And you know, we all go through these times. We all look like we’ve got it together—you’ve got your nice shirt, and I’ve got mine. We’re all dressed like everything is wired, and life is great, and all is well; but scratch it underneath the surface an inch, and there’s pain in every life. Tommy: I read that paragraph 60,000 times—that you’re talking about—“I’ve heard of You with the hearing of an ear; but now, I see You.” That there was a depth that Job went to in that—that transcended everything he had ever been to. I went through that so many times—I never tried to memorize the text, but it’s on my heart. Bob: Are you a better man? Tommy: —it will make you very sensitive to help those people because you know what it was to be there when there was no way out / when there was no light at the end of that tunnel. Help and Hope for Depression and Bipolar Disorder. A lot of our listeners have told us that the interviews that we did with him and his book were very helpful. In fact, if you’d like to listen to the interviews, they are posted on our website at FamilyLifeToday.com. If you’d like to order a copy of the book, you can also order that online at FamilyLifeToday.com; or you can call to order at 1-800-FL-TODAY—1-800-358-6329. That’s 1-800-“F” as in family, “L” as in life, and then, the word, “TODAY.” Again, the title of the book is Good Mood Bad Mood by Dr. Charles Hodges. Now, let me just mention, again, something Dennis said earlier in today’s program—it’s about the matching-gift fund that has been established for us, here at FamilyLife. December is a critical month of the year for us. So, we’re hoping to hear from as many listeners as possible to help us take advantage of a $2 million matching-gift opportunity. Here’s how it works—when you make a donation in support of FamilyLife Today, your donation is matched with a donation that is double whatever you give. So, if you made a donation of $100 to FamilyLife, we would receive an additional donation worth $200. That gives us a $300 donation value, here at FamilyLife Today. We are hoping to take full advantage of this matching-gift opportunity; but to do that, we need to hear from you. So, would you consider going online at FamilyLifeToday.com—making an online donation today? Or call 1-800-FL-TODAY to make a yearend gift; or you can mail your donation to us at FamilyLife Today at PO Box 7111, Little Rock, AR; and our zip code is 72223. And of course, all donations to FamilyLife Today are tax deductible. And we hope to hear from you. And with that, we hope you have a great weekend. Hope you and your family can worship together in church this weekend, and I hope you can join us back on Monday. We’re going to hear a powerful message from David Platt. Many of you know him as an author / as a pastor. He gives leadership to the International Mission Board of the Southern Baptist Convention. He was with us, not long ago, to talk about the importance of bringing the Word of God to bear on the issues that we face in our culture every day. We’ll hear from David Platt Monday, and I hope you can be here for that.